Was the Duke of Wellington Multilingual? 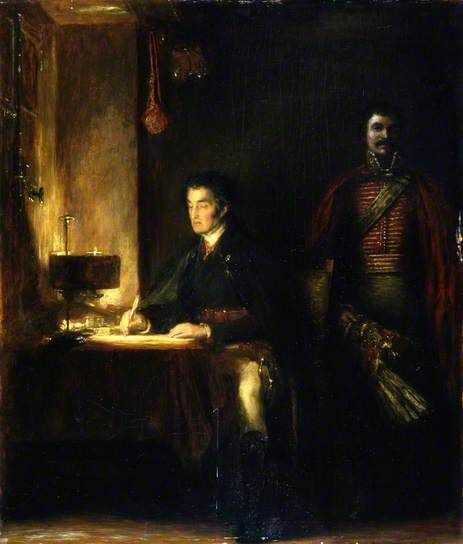 The Duke of Wellington was famed for being able to assimilate and process large amounts of complex information in a relatively short space of time. His ability to communicate clear, concise orders based thereon were key to his effectiveness as a commander in chief. However a little investigated facet of his communication skills has been taken for granted. It is a given that because the Duke was part of the Anglo-Irish Aristocracy; lived in Brussels for a few years and attended the military college at Angers, he could speak French. 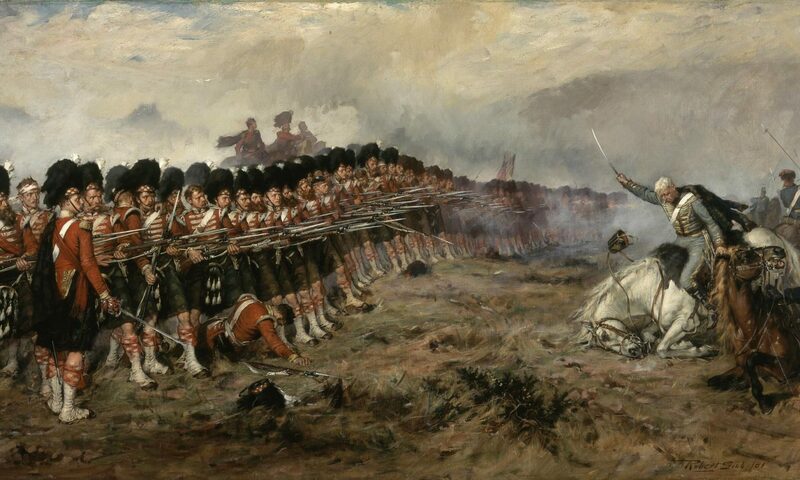 And indeed he could, though one critic commented that he spoke French like he fought them, Wellington could read, write, speak and understand the language of his enemy. He could do this because French was an international second language for most European nations. It was a language of refinement, art and breeding, and up to a point was practically a necessity for aristocrats to know. Ironically, because most gentlemen could speak French, and at this point in history most officers were always gentlemen, his knowledge of the language would prove an effective conduit for Wellington to communicate with foreign allies. Essentially making the very language of the Napoleonic empire a weapon of its destruction. No one can doubt the Duke’s fluency in Europe’s most fashionable common language. What has been doubted by many respected biographers is his familiarity with the Spanish language. Even the most accomplished biographies of the last century have paid scant attention to his language skills, dismissing it with the sure knowledge that he merely spoke a French to his Spanish allies. And it is true he preferred to use his second language to convey ideas and important decisions to allies and diplomats who spoke no English. At the battle of Salamanca he even spoke to his good friend General Miguel Alava in French before racing off to set the army in motion. However recent evidence shows that Wellington had been applying himself since 1808, and at a stretch possibly beforehand, to learning Spanish. To begin with he had originally been slated for the command of an expeditionary force to South America and had therefore been in contact with the fiery expatriate, General Miranda, who was negotiating for military aid against Spain. With the prospect of becoming immersed in the Hispanic speaking hinterland of Venezuela, it would be entirely fitting if the young General had begun to acquire a base in Spanish. The Duke remarked that it was such a faithful translation that he had been able to understand a speech made in his honour by a local official soon after arriving in Spain. Nevertheless hiw was a Yeoman’s Spanish and seemingly not at all reliable for important discussion. For when meeting General Cuesta in 1809 he had to rely on the English skills of Spanish General O’Donjou, who was a descendant of an Irish family, for Cuesta refused to speak the language of the French invaders on principle. Yet according to, Gonzalo Serrat, a relative of Geberal Alava, in other matters, such as correspondence with his friend, Alava, later in the war, Wellington was quite comfortable in his facility in Spanish to write at least 50 letters to him in that tongue. All of which together gives a very different impression of how Wellington communicated to his allies. But then the Duke had a history of being able to pick up languages. He used Sea voyages to indulge in voracious reading, when he travelled to India as Colonel of the 33rd, he had taken witt him over 200 books, some of which were Persian Dictionaries and grammar books. Given this choice of reading it is impossible not to conclude that he did what other British officers did after arriving in India, hiring a Munshi to teach him the language; most likely Persian, which he could certainly converse in by the time of the Battle of Assaye, (if not before when he was commander at Seringapatam). Though it is hard to say if Sir John was being anything but overly flattering, there is little reason to think him completely wrong. To my mind it makes perfect sense that the Duke would have gained a working knowledge of at least one Indian language in the 8 years he spent in the country, where his French would get him nowhere. Over the last few years, neglected evidence has been rediscovered that points to this hitherto overlooked facet of Wellington’s approach to command and communication. With three languages under his belt we can see that learning the tongue of the country he was going to fight in, was a top priority for Wellington and formed an important part of his preparation for a campaign. Read more things you never knew about Wellington here. Wellington: The Years of the Sword. Elizabeth Longford. Wellington: The Iron Duke. Richard Holmes. Wellington: The Path to Victory. Rory Muir. Wellington’s Dearest Georgy. Alice Marie Crossland. Wellington in India. Jac Weller.